Power Rangers Valvemax Zords named! 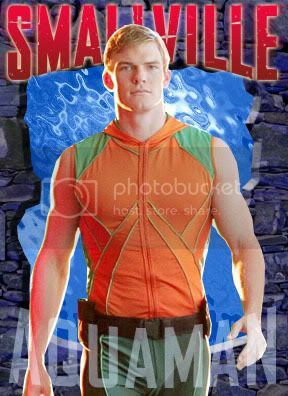 Thank you for your interest in Power Rangers RPM. The Valemax Megazord is comprised of a "Tail Spinner" (green) A "Black Wolf Cruiser" and a Crocodile Carrier (orange). Please see attached for a black and white scan of the back of the packaging from the Power Rangers RPM ValveMax Megazord. It shows the different Megazords available from the same assortment and some combinations. Click on the image to make it larger. The image shows the names for the zords from the Valvemax series. It also shows Mach Megazord's but calls most of 'em zords, so you be the judge. At long last Hal Jordan will be joining Mattel’s Justice League Unlimited collection. In this pack, you can get not only Hal Jordan (in his trademark Ferris Aircraft flight suit) but also his predecessor Abin Sur and his mentor/arch enemy Sinestro both in different versions of their Green Lantern uniforms. Plus, as an added bonus, for the first time in the JLU line, all of the heads in this pack are swappable, letting you play out Hal’s transformation from Test Pilot to Green Lantern of Space Sector 2814! Available on MattyCollector.com after the show. Check out the facebook page for all the other exclucives! And yes, we got inspired to jump on the wagon by some very cool toy sites. Got some pretty neat exclusives too. Click on the cube to see. 1. What can you tell us about the 3-packs popping up on e-bay? The ones with Mantis and Deadman and the new Batman variants? These are for international markets which rely on having A list heroes like Batman and Superman in every pack. 2. 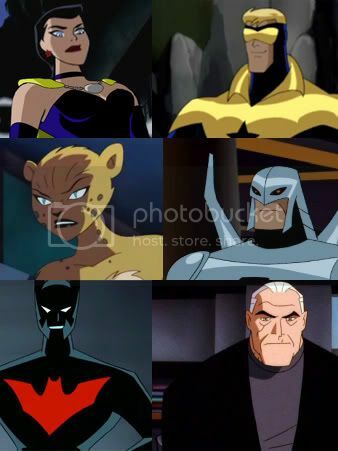 Are there hopes of the lead villains from Justice League and Unlimited appearing in the next wave? 3. Will we see any more figures from the Gotham Knights and Wonder Woman series of DCIH? Not immediately, but it is possible in time. 4. 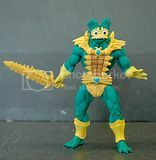 Is the Aquaman seen in Toyfare the final look? 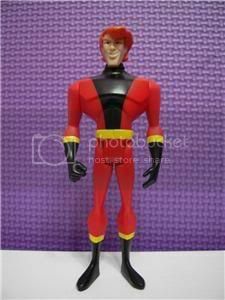 Or will you be veering more towards the Superman Animated Series style? We are still tweaking the figure. It will not have the necklace. 5. Are we seeing any more bulky characters soon? Thanks to ToyGuru and Mattel for taking the time to answer our questions. 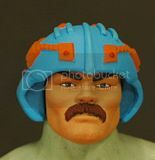 Thanks to Matty and Toyguru for the images. And to the Four Horsemen for these tres awesome figure sculpts! Action Figure Insider features four of the newest singles and both of the 3-packs from the 3rd wave of DC Universe: Justice League Unlimited Fan Collection (to long-time fans, the 9th JLU series of figures). Click the links below to see their exclusive previews. In light of recent developments, A2zToystore has decided to pull the listings of all unreleased Mattel product from their e-bay store. The e-bay store will continue to operate but without the said product. I've read from your site that seems there's some impact on the product listings. companies. I just acknowledge that really matters after reading the message. As a fan and collector of DC and Mattel I've pulled out the listings already. I hope you and Mattel would understand. 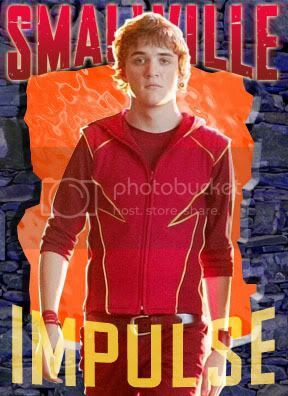 I'm also looking forward to the new figures from Mattel on the market :) And we have to wait for the official photos from Mattel and hope we could get the new information soon. But careful, this isn't something to mess with. Looks to be about 90% workable. New figures on the internet? Ebay? A lot of fans have asked this week about unannounced figures from different lines as well as packaged images of figures showing up first on Ebay or other sites as well as why some fan sites have figures for "review" before they are in stores. Allow me to shed some light. First off, the figures for review are sent out by me or Toyguru to different fan sites for PR. We get a very small sample of early figure for our review and I try to send them out to key fan sites so that all of our fans can enjoy final product images as a sneak before they hit stores. As for unannounced figures or packaged images showing up on Ebay, well all I can say is 1: sometimes these are custom figures we have nothing to do with, and 2: sometimes these are figures removed from our vendors without permission and Mattel vigilantly will go after anyone involved in these auctions from the seller to the buyer. Our best advise; stay as uninvolved in these auctions as you can. Everyone at Mattel is very proud of our product and the hard working people who work on it. Auctions of non final product hurts everyone. It hurts our sales, it hurts our licensors and it hurts our fans as many times this product is not final (both toy and package) and gives the wrong impression of what product will be like leading to false conclusion. Until product is revealed officially either here or on a fan site (and by officially on a fan site we mean as in when we send a sample out for review like we did with a few JLU figures and Mer-Man last week). 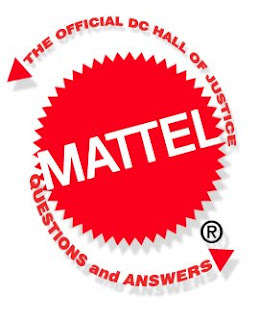 Mattel will continue to legally defend its property and have it returned to us. Bootleg and prototype theft has always been a problem with highly collectable lines for every manufacture in the business and I highly recommend fans not getting involved in it. It is not something you want to poke around with as this is Mattel property and we will go after it and involve resources needed to do so. We will continue to use this forum and the fan sites to get the most up to date OFFICIAL images to our fans. We have many figures "in the cooker" for all of our lines, some will see the light of day sooner than others, some may not come out anytime soon for multiple reasons (legal, logistic, otherwise) which is why we try to hold back any images or announcements until we know the figure is officially coming out and final. And on a cheerier note, look for some big announcement later this week of all new official product that IS coming out later this summer on my Facebook page! Of course being a portal that houses as much of JLU info as we could find we are of course at a crossroads. 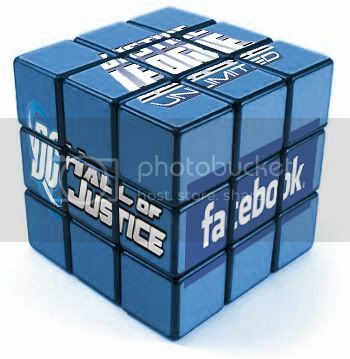 We went ahead and asked ToyGuru where the DC Hall of Justice stands in this as well. We basically archive as much of the news around the net (which means not ALL of the news is from us but we try to put it in one source). We've asked him if we are to ignore the auctions entirely or if we're allowed to reflect the news yet disclaim. We'll let you know as soon as we have the answer. 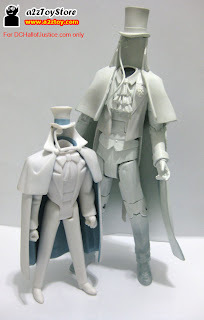 Seen here are images of the Gentleman Ghost figures from Justice League Unlimited and DC Universe Classics. Two more figures are slated to arrive from the Batman the Brave and the Bold Line. Thanks to a2ztoystore for the image. ALL NEW! DC Universe Cards! Collect Em All! And Look for this week's chase 'Gold Card' at the forum.